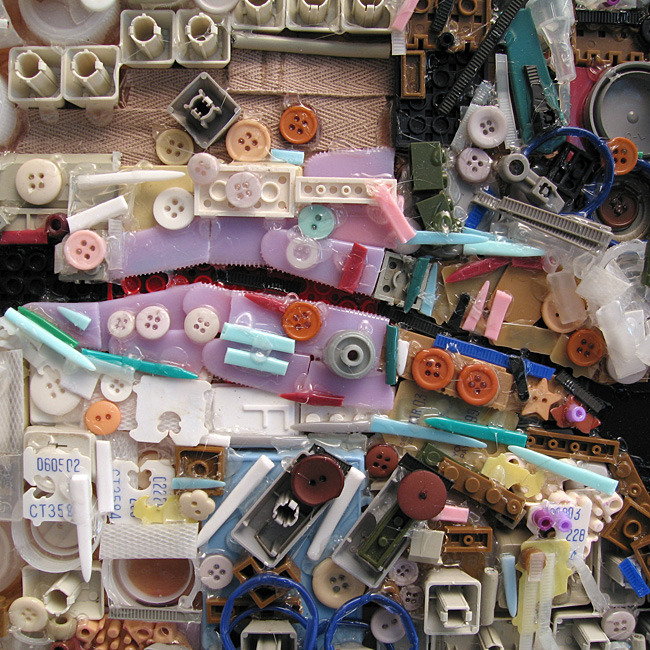 Zac Freeman artworks are made entirely out of collected junk, found objects, and general trash. He glues bits of junk to a wooden substrate to form an image, usually faces, which only can be seen at a distance. Next > HTML Solar System Scale Model: A page that scrolls for over Half A Mile!